We hope that you all enjoyed your festive season and would like to wish you, our readers, a very successful and safe 2017. ON November 26th 2016 and following in the footsteps of the pioneering flights of the 1920s the Vintage Air Rally set off from Crete heading for Cape Town South Africa. They flew low along the Nile River from Cairo to Khartoum, past the highlands of Ethiopia before crossing the plains of Kenya and the home of African aviation, Nairobi. Then they passed Kilimanjaro into the Serengeti and onto Zanzibar for a short pause to draw breath. The next stops were Zambia, Victoria Falls, continuing to Bulawayo in Zimbabwe and then from there to Botswana and then to the fairest cape of all and Journey's end. THE International Civil Aviation Organisation (ICAO) has urged member-states in Africa to take safety seriously. Its President, Dr Bernard Aliu, said safety has become imperative for African countries because of its effect on global air transport. He said failure of member-states to tackle the challenge would attract global intervention, noting that Africa's high accident rate has assumed disturbing dimensions that ICAO had to design an initiative: "No country is left", to step up safety oversight responsibilities. He said: "Judging by previous reports, Africa used to have high air accident rates. Since last year, the accident rate is witnessing a decline in Africa. Though there a few air crashes, they were not fatal. "This is the result of the work ICAO is doing with our member- states in Africa and with the industry to address the aviation safety challenges to enhance aviation safety oversight on the continent . "This is under the No Country Left Behind initiative." He said there was no going back on the initiative as ICAO was offering technical assistance to member-states to meet standards. Aliu said 14 countries had received acknowledgement from ICAO Assembly on the progress of the initiative. The next level of engagement, according to the ICAO Council President, is how to support member-states in developing and modernising infrastructure in the next 15 years. He said: "This has brought international civil aviation very close to our member states particularly in assisting to set the right safety standards. "The 'No country left behind Initiative' has expanded our responsibility to cover capacity building, technical assistance to our member- states to meet those standards. Not only are we setting the standards, we also helping to achieve it. "Now we offering assistance to them to meet those requirements, and many of the developing states have been very appreciative of this. "This is the job that is done keenly by ICAO to foster collaboration and encourage relationship between the states to work bilaterally to support each other and with other multilateral organisations to address this.'' He said the issue of regulation and infrastructure remains critical for member states as one of the steps to improve safety standards. Aliu said: "The next level of engagement will cover not only regulatory issues but how to support our member-states in develop aviation infrastructure and modernisation that is required over the next 15 years. He said: "This has brought international civil aviation very close to our member states particularly in assisting to set the right safety standards. "The 'No country left behind Initiative' has expanded our responsibility to cover capacity building, technical assistance to our member- states to meet those standards. Not only are we setting the standards, we also helping to achieve it. "Now we offering assistance to them to meet those requirements, and many of the developing states have been very appreciative of this. Aliu said: "The next level of engagement will cover not only regulatory issues but how to support our member-states in develop aviation infrastructure and modernisation that is required over the next 15 years. "In the next three years there will be a lot of focus on aviation infrastructure development to assist our member states, whether it is for the airport, for air navigational services, capacity building, to enhance regulatory oversight capacity in the states. "We will assist to provide them more training to meet the dynamic changes in technology." He said: "We will be working with our member states to develop the monitoring review and verification mechanism. We have been working with our member states to establish registries to enhance that system. "This is something new. It means the states, ICAO have to establish registries. A lot of infrastructural requirement for this. "Even in this regard, ICAO has been working closely with the African Union address these issues. You may be aware that we have specific programmes tailored to assist African states." He said ICAO would continue to pursue the comprehensive implementation plan for air safety in Africa to assist member-states. "In the next three years there will be a lot of focus on aviation infrastructure development to assist our member states, whether it is for the airport, for air navigational services, capacity building, to enhance regulatory oversight capacity in the states. Aliu said: "We have the AFI Comprehensive Implementation Plan for Aviation Safety in Africa to assist all Africa member states to enhance the level of safety. "We have a similar programme to address the issue of aviation security and facilitation, which has been adopted at the level of African Union. " I have also established at the level of ICAO the human resources development fund to assist African states to improve on their workforce to prepare the necessary competencies to work in the industry. He said ICAO is working with member-states to facilitate closer air link within Africa to eliminate constraints that militate against air liberation. Aliu continued: "Aviation intra-connectivity in Africa can do better. At a personal level, it is a difficult subject for me to discuss, because I was one of those who negotiated the Yamoussoukro Decision for Africa in the 90s. "Unfortunately, that very important liberalisation document has not been fully implemented. And it was aimed to liberalise the movement of people in Africa. Although there are some constraints, a very difficult visa regimes, tax regimes that make movement of people to be difficult "They should open up their market for movement among African states through the removal of barriers to free movement of goods and services and people. It will become very attractive to Low Cost Carriers and it will bring the cost of air travel down to the level of average income earners. "And there is a growing middle-class market in Africa that is waiting to be tapped. Connectivity with the rest of the world is not possible without aviation. I am aware that the African Union is working on this, to create a single air transport market in Africa by 2017." 26 Dec 16 RH44 0 De Zalze Golf Estate near Stellenbosch, WC, RSA. Libreville, Gabon. Poor ATC coupled with inadequate navaids. Poor Marshalling combined with inappropriate behaviour of drivers on the ramp and taxiways. Kadugli, Sudan. Poor ATC control of aircraft in the area. In 2016, the FAA published a Supplemental Notice of Proposed Rulemaking (SNPRM) proposing an SMS requirement of certain certificated airports. Under the proposal, these airports would develop and implement processes and procedures to proactively identify hazards and mitigate unacceptable risk. In addition to safety risk assessment and management, the proposal would require these airports to also deploy confidential hazard reporting systems, provide training and orientation programs, and offer enhanced safety communications. Together, these elements form the building blocks to support an organizational culture that values safe practices. According to Marcia Adams, a spokesperson for the FAA, a Safety Management System (SMS) is the formal, top-down, organization-wide approach to managing safety risk and assuring the effectiveness of safety risk controls. 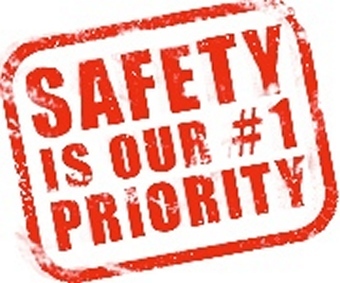 It includes systematic procedures, practices, and policies for the management of safety risk. "SMS is becoming a standard throughout the aviation industry worldwide," she said. "It is recognized by the International Civil Aviation Organization (ICAO), civil aviation authorities, airlines, airports, and air traffic service providers as the next step in the evolution of safety in aviation. SMS is also becoming a standard for the management of safety beyond aviation." Ken Ibold, national SMS discipline Lead for RS&H and an airport planner said nearly 300 airports in the country may fall under this requirement. "This is all about making safety a standard part of airport operations," said Ibold. "Airports are already highly regulated and are extremely safe environments. But the goal of the FAA programs is to anticipate safety challenges before an accident happens rather than react to an accident by altering processes in order to not let them happen again." He said Part 139 Airport Operators will be required to update their Airport Certification Manual to address the elements of Safety Policy, Safety Risk Assessment, Safety Assurance and Safety Promotion for operations within the movement and non-movement areas of the airport. Ibold likes the mandate because of its business-like approach to managing risk. "An SMS plan is intended to not only reduce the probability of aircraft accidents/incidents on the airfield, but also help protect workers, passengers and visitors by creating a culture that values safe practices," Ibold said. "It can be designed to integrate into the safety programs that airports may already have in place." Ibold said that SMS practices have long been present among other industries and has helped companies identify safety hazards before they lead to injury or damage. "The International Civil Aviation Organization, (ICAO) the international version of FAA has been working on SMS since 2004," he said. "Because the U.S. is a member state of ICAO, it has to follow their standards. Thus, the U.S. is compelled to implement SMS." Although Ibold believes the FAA mandate is a worthy endeavour, he said the difficulty will be meeting the requirements of the new rule while not sacrificing efficiency at the airports. "The rules only say what you have to achieve but not how," he said. "It will be up to the airport as to decide what processes and operations to put in place to meet the FAA rule. Every airport is different in terms of its operational environment. As a result there is so much variance it would be impossible to create a uniform template that addresses the safety concerns of every airport." old said the FAA is aware of that challenge and has chosen to prescribe a methodology to address airport safety issues rather than develop a "one size fits all" plan. "That strategy will mean that SMS will be individualized by each airport to address its own unique needs," he said. Some airports, such as Portland International, are already out in front of the SMS rules. According to Danny Garcia, senior manager, airside operations for Port of Portland, Portland International Airport, SMS has been on his radar for some time. He said that PDX has worked diligently over the last five years on safety risk management and its operational impact in order to capture both air traffic organization and airport requirements of the FAA rule. "We are now having to document and demonstrate it administratively, but we have always done the work," Garcia said. Still, he said that there are so many aspects to what the FAA is trying to regulate each airport will be a remarkably unique challenge. "The difficulty will be making a rule that applies to each airport's individual environment," said Garcia. "The rule will have to be broad in nature so that each airport can have find out what works for them." Garcia said that establishing a timeline will be virtually impossible as his airport and he could never fully implement an SMS in 36 months as it will require changes to the airport's management and organization structure. "I appreciate that the FAA is shifting to a different format of a compliance structure that allows me to determine how to best comply rather than give us a straight rules-based specific methodology," he said. "This gives me more latitude and at the same time more responsibility." Garcia believes it is the logical evolution of airport operations to take on more responsibility for regulations. "It is a good business practice to have the right equipment and the right staff in place for safety," he said. "I think the challenge will be demonstrating to the inspector that we have all these processes operating now." For Ibold and others in the industry, the question is how the FAA will implement the new rules. Ibold said a previous FAA initiative, FAA order 5200.11, which addressed airfield construction projects, was originally issued with an effective date then amended to phase in over four years with a schedule contingent on airport size. "The greater uncertainly will be how the FAA phases in implementation and to what degree," he ask. "Will the schedule require larger airports to implement first followed by smaller ones?" According to Adams, that will all be worked out over the next 16 months. "The FAA is implementing the principles of SMS both internally and externally," she said. "Externally we've supported numerous pilot studies to develop and implement SMS, participated in industry research including projects by the Transportation Research Board's Airports Cooperative Research Program, and developed the SNPRM. The SNPRM comment period closed on September 12, 2016. The agency now has 16 months to adjudicate the comments and determine whether it will pursue a final rule." David Fleet, director of consulting of Faith Group in St. Louis, believes the new regulations provide an opportunity for airports to derive more value from their operations. "So often airports look to the do the minimum to be in compliance," he said. "SMS can serve as a proactive business management practice not only with the implementation of the new FAA rule, but also for the entire operation." Fleet believes the four components of SMS - safety policy, safety risk management, safety assurance, and safety promotion, are very much needed in the industry. He said SMS is a proactive way to manage the airport because it creates the triggers that better enable you to use risk assessment. An example, he said, is an airport getting larger aircraft. Risk assessment provided by an SMS will help Operations understand what the impact will be on adjacent gates, vehicle service roads, aircraft taxi routes, as well as any impact it may have on the ARFF index. "Overall, SMS allows you to better assess risk while encouraging the use of inspections because now you have the plans to make corrections," Fleet said. "Proactive decisions are based on leading/lagging indicators that point to better training and orientation on safety hazards." "The FAA traditionally has been a reactionary agency," Fleet said, "making regulations to events that have occurred already. This allows them to get in front of the risk curve." According to Fleet there were 31 airports that went through SMS pilot programs. He said that the FAA has done a good job of exploring the potential impact of the new regulations. "The airports that were selected for the studies indicate that SMS will deliver favourable results to them," he said, adding he also thinks that it is advantageous that the Advisory Circular and proposed rule will leave it to the airports as how they develop their individual SMS. Ibold believes many airports will want to seek outside guidance on the SMS implementation from selected experts because the new rules will not include the FAA's usual step-by-step requirements. "There are not a lot of people who know how to do this and eventually the knowledge will catch up to the demand," Ibold said. "Consultants will need to examine the airport's current processes and figure out how those processes how do they already fulfil some of the requirement of SMS. Then they can turn their efforts to fill in the gaps." Fleet adds that airports will need proper training, more open communication, integrated technology systems and incentive programs to make SMS work, contributions he sees coming from the consulting community as well. The airline industry is considered as the benchmark in terms of following quality norms and the safety standards are of the very highest order. Airlines are considered as a benchmark in terms of safety norms and imbibe quality standards like Six Sigma which are imperative in the operations of civil aviation. However, there is an element of human error which does not make it absolutely full proof and can lead to major catastrophic incidents. 2016 wasn't the best possible year for global aviation industry as there were a lot of air disasters which claimed the lives of many passengers. 25 December 2016; Russian Air Force; Tu154B-2; RA-85572; near Sochi, Russia: The aircraft was on an unscheduled international flight from Sochi, Russia to Latakia, Syria. The aircraft, which was transporting members of the Alexandrov Ensemble, the official choir of the Russian Armed forces, crashed into the Black Sea shortly after takeoff. Wreckage was found about one mile (1.6 km) from the coast. All eight crew members and 84 passengers were killed. 20 December 2016; AeroSucre 727-200; HK-4544, flight LMI2933; near Puerto Carre�o, Colombia. The aircraft was on a non-scheduled domestic cargo flight from Puerto Carre�o to Bogot�, Colombia. Just after takeoff, the aircraft crossed a road that was about 100 meters beyond the end of the runway, apparently hitting at least one fence and dragging the rear part of the aircraft on the ground. The aircraft became airborne, but did not gain a significant amount of altitude. The aircraft was videotaped making a descending right turn just before it crashed and caught fire. The crash site was about 10 miles (16 km) from the airport. Five of the six crew members were killed. 7 December 2016; Pakistan International Airlines ; ATR 42-500; AP-BHO; flight PK661; near Havelian, Pakistan. The aircraft was on a scheduled domestic flight from Chitral to Islamabad, Pakistan. While en route, the crew reported that there was an engine problem, and that the aircraft was descending. Shortly afterwards, the crew declared an emergency. The aircraft crashed into a hillside and caught fire. All five crew members and 42 passengers were killed. 28 November 2016; LaMia Avro RJ85; CP-2933, flight LMI2933; near La Uni�n, Colombia. The aircraft was on a non-scheduled international flight from Santa Cruz de la Sierra, Bolivia to Medell�n, Colombia. On board was Brazilian Chapecoense Football Club, which was scheduled to play in the final of the 2016 Copa Sudamericana in Medell�n. 28 October 2016; FedEx Express DC-10; N370FE: Flight FX910; Fort Lauderdale, FL. The aircraft was on a domestic flight from Memphis, TN to Fort Lauderdale, FL. At some point during the landing, the left main landing gear collapsed, and the aircraft came to rest near the landing runway. A fire broke out, seriously damaging the left side of the aircraft. The two crew members were not injured. 28 October 2016; American Airlines 767-300; N345AN; flight AAL383; Chicago, IL. The aircraft was on a scheduled domestic flight from Chicago, IL to Miami, FL. During the takeoff, the right engine experienced an uncontained failure, and the flight crew aborted the takeoff. The aircraft caught fire in the area of the right engine, and the aircraft occupants evacuated the aircraft. There were eight minor injuries among the 161 passengers and nine crew members. 27 October 2016; Eastern Airlines 737-700; N278EA; New York, NY. The aircraft was on an unscheduled domestic charter flight from Fort Dodge, IA to LaGuardia Airport in New York. After landing, the crew was unable to come to a stop on the runway. The aircraft was slowed by an arrestor bed of low-density concrete that was in place beyond the end of the runway. 3 August 2016; Emirates 777-300; A6-EMW; flight EK521; Dubai, UAE. The aircraft was on a scheduled international flight from Thiruvananthapuram, India to Dubai, United Arab Emirates. The crew was attempting to execute a go-around shortly after the main landing gear touched down on the runway, but the aircraft was unable to gain altitude. 30 July 2016; Kubicek BB85; SU-GCC; near Lockhart, TX. The balloon was on an unscheduled flight that departed from Fentress Airport in Fentress, TX. The balloon crashed burned after striking power lines about eight miles (12.9 km) from the launch location near Lockhart, TX. The pilot and all 15 passengers were killed. 19 May 2016; EgyptAir A320-200; SU-GCC; flight MS804; en route Paris to Cairo. The aircraft was on a scheduled international flight from Paris, France to Cairo, Egypt when radar contact was lost. 13 April 2016; Sunbird Aviation; BN-2T Islander; P2-SBC; Kiunga, Papua New Guinea. The aircraft was on an unscheduled domestic scheduled flight from Oksapmin to Kiunga, Papua New Guinea, and crashed near the destination airport shortly before landing, reportedly due to an engine failure. SYDNEY, Australia - Weeks away from ending their search of a remote stretch of the southern Indian Ocean for debris from a Malaysian jet that vanished in 2014, investigators acknowledged on Tuesday that they might have spent the past two years looking too far south. Experts said in a report that Malaysia Airlines Flight 370, which disappeared in March 2014 with 239 people on board, was most likely resting on the seabed in an area partly searched in late 2014 and early 2015. The searchers then moved south along a long arc thought to be the jet's trajectory, off Australia's southwest coast. They now want to expand the 46,000-square-mile search by around 9,700 square miles, to cover a new zone to the north, the Australian Transport Safety Bureau said in the report, which was issued along with analysis from Australia's science agency, the Commonwealth Scientific and Industrial Research Organization. Despite the new analysis, Darren Chester, the Australian infrastructure and transport minister, said the search would end soon unless specific new information about the location of the wreckage emerged. Mr. Chester said Australia, China and Malaysia had agreed in July that the search area would not be expanded unless "credible evidence is available that identifies the specific location of the aircraft." A team led by Australia has been searching for the jet, which disappeared in March 2014 after taking off from Kuala Lumpur, the Malaysian capital, on a flight bound for Beijing. It instead flew south for unknown reasons, and the authorities say they believe it crashed into the ocean. A search of the seabed has been fruitless, but pieces of debris that have drifted to shore have been confirmed to have come from the plane. The science agency said in its own report on Tuesday that its scientists, by modelling wind and ocean currents and tracking replica plane parts in the ocean, "had come up with a location of the aircraft that is much more precise than we thought possible." The agency recommended searching along the northern third of the arc that experts had previously mapped out, based in part on the plane's electronic communications with a satellite. "We believe that the aircraft is on the seafloor within that area," David Griffin, a scientist in the agency's oceans and atmosphere division, said by telephone. "Very close to the arc is the most likely place, but also very likely is an area 25 nautical miles to the west of the arc." That area was partly searched in late 2014 and early 2015. Australia is leading the search for the plane and is shouldering most of the costs, though China and Malaysia are also involved in decisions. Most of the passengers on the plane were Chinese. The search zone was expanded once before, in April 2015, when it was doubled to the current 46,000 square miles. About 90 percent of that area has been searched. A spokesman for the Transport Safety Bureau, Daniel O'Malley, said on Tuesday that the authorities were confident that if the plane were in the area already searched, it would have been found. Data on depression rates among pilots have been hard to come by, but a new study that surveyed active pilots found that nearly 13 percent met the threshold for depression - and about a third as many reported having suicidal thoughts. The 2015 crash of Germanwings Flight 9525, which was caused intentionally by a co-pilot who had undergone treatment for suicidal tendencies, killed all 150 people on board and sparked a conversation about mental health among pilots. This study, published in the journal Environmental Health, is the first to examine the mental health of airline pilots outside the context of a crash investigation, regulator-mandated health exam, or identifiable self-reports. It's thought that pilots are extremely reluctant to seek mental health treatment given the stigma and professional implications mental illness holds in the industry. "Our results should not be surprising," said Joseph Allen, an assistant professor of exposure assessment science at Harvard and the study's senior author. "The idea that pilots can be susceptible to mental health issues just like the rest of us should not be shocking. Unlike the rest of us, though, not all pilots have the ability to seek treatment or counselling due to fear of repercussions." The researchers collected 1,837 anonymous survey responses from airline pilots around the world, whom they solicited with emails and advertisements through pilot unions, professional groups, and aviation publications. The survey covered various work and health topics, and included several questions that called on specialized pilot knowledge, to confirm that the volunteers were indeed pilots. They evaluated participants' likelihood of depression based on nine questions often used in clinical settings, and additionally asked if participants had ever been diagnosed with depression or sleep disorder. They found that while only 3.1 percent of pilots had been diagnosed with depression, nearly 13 percent met the threshold for a depression diagnosis. That rate is on par with other stressful occupations, including military personnel and police officers, but is about twice as high as the general US population. Depression was at higher levels among pilots who use sleep-aid medication and pilots experiencing sexual or verbal harassment. Researchers also found that 4.1 of pilots reported having thoughts of being better off dead or self-harm within the past two weeks. In light of the study's release, Allen said he hopes airlines can create an environment in which pilots feel more comfortable coming forward to seek treatment. And, Allen emphasized, the new findings, while informative about pilots' mental health, shouldn't change passengers' confidence in flying. "Flying is the safest form of transportation, and this study doesn't change that," Allen said. "The Germanwings pilot wasn't just suicidal. He was homicidal. I think it's critical the flying public hears that." Hundreds of commercial airline pilots battling depression are faced with the stigma of being "grounded" if they reach out for help, according to a shocking Harvard study offering a fresh look at depression in the cockpit less than two years after a suspected suicidal pilot killed 150 people by crashing into the Alps. The survey conducted by the Harvard T.H. Chan School of Public Health of nearly 1,850 commercial airline pilots found 12.6 percent could be clinically depressed, a figure that is double the depression rate of adults in the U.S. The study, published yesterday in the journal Environmental Health, found depression rates spiked to 31 percent and 28 percent for pilots who reported being sexually harassed or verbally harassed two to three times in the past month. "There is a veil of secrecy around mental health issues in the cockpit," said Joseph Allen, assistant professor of environmental health at Harvard. "We found that many pilots currently flying are managing depressive symptoms, and it may be that they are not seeking treatment due to the fear of negative career impacts." The FAA requires pilots to be screened for physical and mental fitness at least once a year through an exam that depends on pilots self-reporting symptoms of depression. But the stigma of being grounded for being depressed often causes pilots to keep those dark thoughts to themselves, the study said. Seventy-five of the pilots responding to the anonymous survey - about 4 percent - reported having suicidal thoughts in the past two weeks. A separate 2014 study reported that only a third of a percent of U.S. airplane crashes from 1956 to 2012 were determined to be suicide by plane. The study "underscores the importance of accurately assessing pilots' mental health and increasing support for preventative treatment," said Alex Wu, a doctoral student at Harvard and first author on the paper. The Air Line Pilots Association, the world's largest pilot union with 54,000 members at 31 airlines in the U.S. and Canada, said the airline pilot remains one of the "most highly vetted careers today" and requires ongoing training and checks on pilot fitness. "It is important to remember that airline travel is the safest mode of transportation in the world. Pilots for U.S. carriers alone safely accomplish 27,000 take offs and landings each day, in every kind of adverse weather and operational conditions," the union said in a statement, declining to comment on the Harvard study. Although she said she is sceptical of the report's headline finding that one in eight pilots is depressed, Illinois-based aviation psychologist Diane Damos noted a pilot's first year is often stressful and that they typically work long hours for limited pay and carry huge debts from flight schools. "Do I think 12 percent of Delta and United captains are depressed? No," Damos said. "Is it possible that 12 percent of the guys in the first year and flying under very restricted pay and difficult work hours, and rough commutes could the feel depressed? ... That's a possibility." Transport Canada has issued a Civil Aviation Safety Alert recommending owners and maintainers of virtually all older Piper Cherokees perform magnetic particle inspection of the welds on the control columns of their aircraft at the next annual. As we reported last May, a Canadian flight instructor reported the column broke off in his hands as he and a student flared for a landing at a Manitoba airport. Instructor Tom Larkin said the aircraft was only five feet above the runway and landed safely despite the physical loss of control. He and the student taxied to a maintenance shop where staff discovered the upright portion of the control column had broken off where it joined the horizontal arms. He said they checked the weld on another Cherokee and found cracking. The problem was discovered on a PA-28-140 but Transport Canada said similar control columns were installed on 150, 160,180 and 235 models and all should be checked magnetically. "Cracks that were found on the replacement control column were undetectable to the naked eye, even after it was removed from the aeroplane," the safety alert said. "It is likely that high time PA-28 series aeroplanes may be at risk for undetected control column cracking and or potential failures." The age and history of the aircraft that suffered the failure was likely a factor, the agency said. It had 18,000 mostly training hours on it but the Cherokee was a popular trainer and there are likely others like it in the fleet. Transport Canada has shared its information with the FAA and some action by the agency is likely. # Drivers found to be speeding on airside will have their access remote taken from them. # All delivery vehicles and visiting vehicles requiring access to airside MUST be escorted from the access gate to the premises and then after closure of their business back to the gate for egress. # All operators are required to report Bird Strikes to the Safety Office even if there has been no structural damage to the aircraft as a result of the strike. # Fuel must not be "trucked" into Rand Airport from other sources. Should there be a special requirement permission must be sought from the Airport Manager. Next Safety, Security and Stakeholders Meeting will be held on Tuesday 14th February 2017 at 12.00 in the LIA Training School. # Construction Project at the Southern Helipads consisting of the construction of a new concrete slab which will accommodate 3 x helipads and slurry sealing of the dust patches around the new and existing slabs is underway. Taxiway Yankee is closed for the duration of the construction work to mitigate any potential safety occurrences. # Should an emergency occur pedestrians are requested to stand still in a safe area out of the way of responding AR&FFS vehicles. # During any emergency Pilots, Instructors and students should try to keep the frequencies as clear as possible. Part Time Aviation Security Consultant required who is appropriately qualified for RSA and International Operations. - a data management platform aiming at integrating all sources of operational data received from various channels and IATA unique programs such as Flight Operations, Infrastructure, IATA audits, etc. into a common and interlinked database structure. Techniques to improve aviation safety have moved beyond the analyses of isolated accidents to data-driven analyses of trends and the interaction between the links in the air transport chain. This is what the GADM program is all about. # A database of de-identified airline incident reports, offering a secure environment for airlines to pool safety information for global benchmarking and analysis needs. Can we help you with your aviation safety and / or quality assurance requirements? # an electronic services organisation approval, then you shall establish a Safety Management System for the control and supervision of the services rendered or to be rendered by that organisation. If you do not already have an approved Air Safety Officer and an approved Safety Management System then please contact us for assistance. Avia Global and GAAC accepts no liability for the content of this email, or for the consequences of any actions taken on the basis of the information provided, unless that information is subsequently confirmed in writing. If you are not the intended recipient you are notified that disclosing, copying, distributing or taking any action in reliance on the contents of this information is strictly prohibited.